Throwing kids' birthday parties can be a dreadful work to do more than a fun thing to organize for busy mothers. And what’s more stressful is the fact that if you are on a budget, instead of hiring caterers to take charge of the event, you will save a lot if you dip your hands on it. Well, you are not alone on this. But the awesome fact is, there are a lot of crafty DIY (do-it-yourself) ideas and frugal treats that you can incorporate on your kid’s birthday party which he or she will surely love and that her or his friends and guests will surely enjoy. Here are some must-dos first that you have to consider in organizing your kid’s birthday bash. This secret works at all times. As much as needed, don’t start planning less than a week or just days before the set date. Give yourself ample time to think of what you want to happen, how much will be the budget and how to execute the plan because you’ll never know what comes up within that duration, so at least you are well-prepared. Remember, rushing will just add stress and most often the outcome is poor. Kids love dramas, and so are you. Setting up a theme (outdoor, indoor, ice cream party, pizza party, pirate party, cowboy themes, etc.) not only can be a fun activity for the other kids who will attend but it also gives you a clearer focus on what to expect, what you will need, what will be the decorations, among others. Always listen to your kid’s hints on what he wants to happen on his/her party to give you an idea of what to organize. The main goal here is to throw a fun party that will not only cost you less but will make your child and his friends smile more. From the invitation, to decorations, to the food, always aim to utilize what you have around. Rummage and gather all the crafts and arts that you have around (papers, magazines, buttons, laces, old holiday wrappers, glitters and sequins), bond with your kid and glue them together to form an artsy decoration and you will be surprised on how much fun you two will have, being creative and saving at the same time. From personal experience, rather than asking a professional designer to create my son’s dedication invitation which is a bit expensive especially if it is per set, I took pictures of my son in our backyard (saved me from hiring a professional photographer, too), I edited them in Black and White, penned the verbiage of the invite and asked a friend who is familiar with graphics and designs to put it all together as a favor. What’s fun is that I have a set of extra special paper and envelopes from our wedding almost two years ago so I ended up just paying for printing expenses. Do you have tons of cardboard boxes from previous purchases of appliances and other gadgets? Tons of boxes of milk, cardboard rolls from toilet papers and cereals? Instead of disposing them, recycle them instead into makeshift masks, box houses, cardboard robots, and wall décors. Sky is actually the limit. You can create endless possibilities out of cardboard boxes. What’s so great about the box is that, it is sturdy enough to use it as a base, great for themed birthday parties! We always see towers of birthday cakes and cupcakes every time we go to kids’ birthday parties. 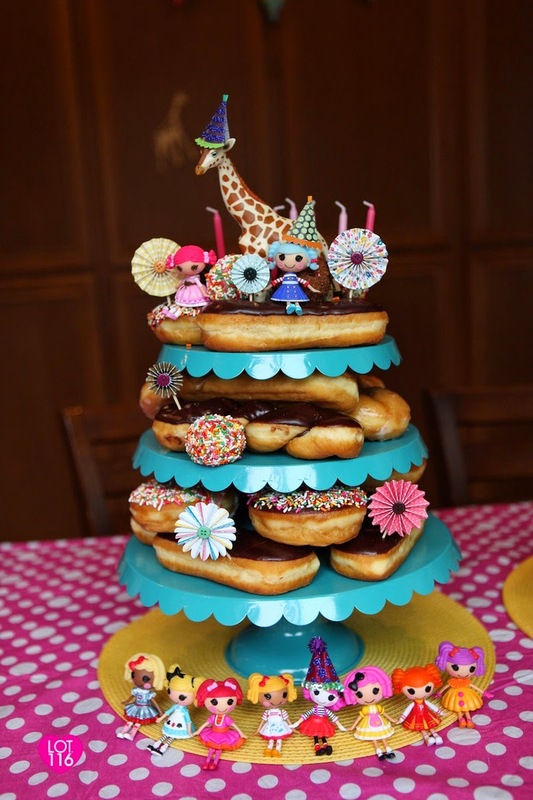 For a change, why not go with a tower of donuts and have fun decorating them? Kids surely love doughnuts and it is a cheaper alternative to cakes. It is a simple and fun birthday theme too! All you need will be colorful sprinkles, nuts, chocolate whips or flavored icings to add twists to our favorite classic glazed. The demand for photo booth nowadays is very high. And renting a photo booth is quite expensive. So why not skip the rent and organize and design your own fun photo booth that your birthday celebrant and guests will surely enjoy?! All you need is a point-and-shoot digital camera or your smartphone, a tripod (optional), a backdrop and props. You can use your digital camera and just like I mentioned can be your smartphone. If you don’t have one, just borrow from a friend or family member who has. Tripods can be replaced instead by assigning a family members to take charge of taking pictures. 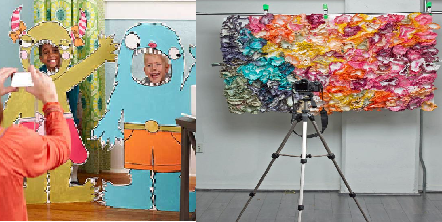 As for the backdrop, the cheapest can be a fabric printed that can liven the background. If none, go back to basics of utilizing what you have around. Remember to use the cardboard boxes, paint them, create cut-outs and make cool designs depending on your theme. When it comes to props, you don’t have to buy it from stores. Just rummage your closet for fun items like cowboy hats, those furry scarves you don’t use, big glasses, your grandma’s gloves, layers of faux pearls, crazy hats and all those which will add funk to the pictures. Use your fun imagination! Now, for you to make sure that you’ll make the birthday party memorable, end it with unique giveaways that you yourself can do. You can give “thank you” notes out of painted Kleenex boxes or card boards attached to Popsicle sticks. 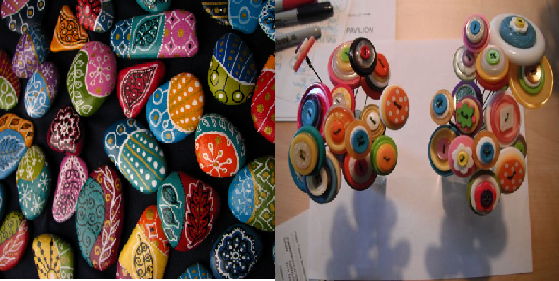 Miniature cardboard dolls or paper animals from the rolled cardboard of toilet papers, lollipops with fun cut-out designs, pencils with buttons, book markers out of recycled materials, colorful painted stones and other awesome ideas. The best things mostly in life are those that will cost less. Create birthday memories that your child will never forget. Being unique by organizing DIY birthday parties through your creative imagination will not only save you from spending much but will encourage others as well to be as creative as possible and start adapting the sense of reusing and recycling which in the end is what we need too for our environment. Great Post!! This is such nice topic & you have shared excellent information. It is very interesting & I will definitely bookmark this page. Truly adorable kids’ party DIY ideas! 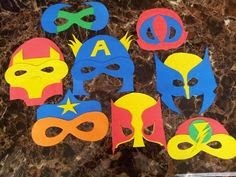 Amazed to see these brilliant ideas for my son’s upcoming birthday bash. Had a desire to host a DIY party for him. Thanks for this post. Finding some affordable kids’ party venues in NYC for the party now.